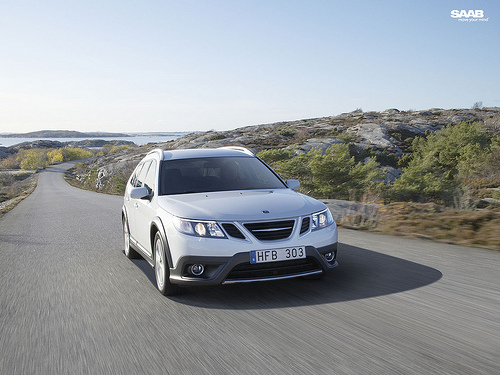 It seems the story of Saab, the Swedish automaker, keeps having an interesting turn or twist. Saab United, a Saab enthusiast website, has reported that unfinished Saabs left sitting on the production line have been bought and will be finished by a dealership. This forced the Saab to file for bankruptcy and left many Saabs on the production line unfinished. Much to to dismay of Saab fans around the globe. There has been good news, such as the Trollhättan Saab museum that was saved by the town. In a post on the Saab enthusiast website Saabs United, they claim a source has confirmed that all the Saab automobiles that were left unfinished have been bought by ANA, a dealership in Trollhättan, Sweden. (Trollhättan is where Saab's manufacturing facilities are based.) As well ANA has bought many Saab parts to finish the job. The dealership wants to put the finishing touches on the Saabs that were not able to have production finished. Once these Saabs are put together, they hope to sell them for a profit. It is estimated that ANA has bought around 100 Saab cars that were left in different stages of completion from the bankruptcy administrators. This is not the first time ANA has done this with Saab automobiles though. They recently bought and finished the last of the 9-3 convertibles that were left on the production line in the Saab plant in Trollhättan because of the bankruptcy. You might not feel completely confident in letting a dealership complete a vehicle's production, but ANA is well equipped to do this. They have experience outfitting and building police and other specialty cars. The dealerships facilities and staff are knowledgeable enough to complete this job and should be able to handle putting together Saabs there were left unfinished. Since Saabs assets and facilities still have not found a buyer, these Saabs that ANA will finish could become collectors cars easily. Most likely these will be the last Saabs “built' for a long time. I'm keeping my fingers crossed for Saab. It's ridiculous that GM would block the sale of this quirky, reliable line of cars since GM was not able (or willing) to successfully promote or market these cars when it had full ownership. GM was happy to receive a bailout at US taxpayers' cost but won't get out of the way for Saab to do something less sinister. I guess GM is afraid of the competition Saab offers -- GM vehicles may be better than they used to be but they aren't likely to outlast a well-built Saab. I'd rather see China or India in the driver's seat if it will keep this noble car brand alive.